The future can look a little bleak at times. Predictions of global catastrophe caused by climate change or nuclear war are commonplace. Both oil and water shortages are predicted to become greater problems as time passes. Even ignoring this stampede of elephants in the room, the prospect of continuing threats from terrorism, economic meltdown, or even the dawn of a true artificial intelligence 3 Magical Ways Artificial Intelligence Can Save Your Time 3 Magical Ways Artificial Intelligence Can Save Your Time Artificial intelligence is cutting edge. But the ultimate goal is to simplify our lives We look at how AI can write your emails, schedule your meetings, and save you time. Read More can leave one feeling somewhat overwhelmed. Not to mention zombies How To Survive The Zombie Apocalypse How To Survive The Zombie Apocalypse Whether you personally believe that the zombie apocalypse is long overdue or that it's never going to happen, doesn't it pay to be prepared? Read More . What can you do against these looming monoliths of a future unknown? This article will cover a few simple ways a Raspberry Pi or similar microcontroller can help you survive an apocalypse Survive An Apocalypse: Setting Up A Complete Emergency Survival Kit Survive An Apocalypse: Setting Up A Complete Emergency Survival Kit The apocalypse will need to be documented with Facebook updates and Twitter hashtags for future generations to fully enjoy - so how are you planning to do that with no power or Internet connectivity? Read More . Too dramatic? Totally understandable, but these ideas are also useful to know regardless of your opinion on what is to come. All of the following would work perfectly for remote locations, or for projects in countries where the infrastructure isn’t as solid. If you are totally new to the Raspberry Pi, this guide Raspberry Pi Projects for Beginners Raspberry Pi Projects for Beginners These 10 Raspberry Pi projects for beginners are great for getting an introduction to the hardware and software capabilities of the Pi, and will help you get up and running in no time! Read More should be a great primer to get you started. All of these things either are directly linked with a technology filled post future, or feed back into systems that will help you stay on top of any long term survival situation. Having a stable long term power source that is renewable is essential for everything else in this list. Not only will you rely on it for lighting and any other survival tech, but it will power your Pi, and therefore one of your survival assets. One can never have enough batteries. A good steady alternate power source is a great thing to have no matter your current situation. Even in much less catastrophic circumstances such as a power outage in your neighborhood, the ability to spark up some light, get a few tunes playing, and perhaps even get a retro gaming tournament going to wait it out is a real bonus. There are two kinds of batteries to consider here. Smaller power banks which can operate remotely, and a larger battery bank for charging and bulk storage. For the former, there are already a huge array of options to choose from. Modern cellphones and tablets take more energy than ever. As we have covered before, Pokemon go is single-handedly responsible for many people buying into portable power The Best Pokemon Go Power Banks The Best Pokemon Go Power Banks Pokemon Go beats the heck out of a phone's battery. Squeezing a bit more Pokemon-catching juice out of your phone requires a power bank. But what's the best battery out there? Read More , and the RAVPower unit we recommended still looks like the best bang for your buck in terms of a solid long lasting 5V power bank. Another route to go down is to buy a solar bank. These battery banks have the benefit of having a solar panel built in to them so that they can charge themselves over time. Unfortunately, none of these chargers are quite efficient enough to provide power indefinitely under load, as even in perfect light conditions the charge times are slow. Despite this fact, a rugged, weatherproof and shockproof power source is a great asset. 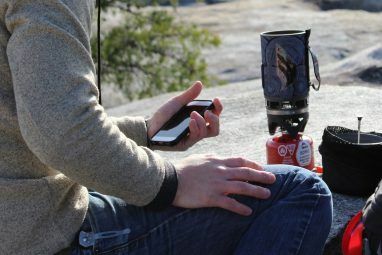 At the time of writing, this unit combines a 12,000 mAh capacity with it’s own solar charging and rugged casing. If the Sun Is Still There, Use It! Instructables user koff1979 created a solar-powered 12V setup for their Raspberry Pi using simple parts. An advantage of the above setup is that it can be used to charge any 5V power banks you have lying around too. Having several batteries of different types constantly charging is key to not getting left in the dark. While this setup will likely keep your Pi up and running, it might be worth investing in something bigger if you have the space. Instructables user Jonathanrjpereira has created a larger scale 12V solar power system and documented how you can do it to. To take this one step further, you can harness the power of the wind. John Showic put together a great in-depth article on running a Raspberry Pi on both solar and wind power, running various tests to get the optimum setup — including confusing pedestrians by using his car to test power generation! But what if the sun isn’t shining? What if it’s night time, the weather is still, and you need power? Then you need to work for it! Pedal power is another way to create energy in all situations and Adafruit’s K-Tor pedal powered generator is a portable and compact solution. It can power devices directly, or charge up 12V batteries — though you’ll need to do a lot of pedaling to manage that. Given that it’s likely that being fit and healthy are going to be pretty important for survival, this one seems like a good idea to get sooner rather than later! Next on our list of essentials is water. Sadly, there is no way in the world a Raspberry Pi could produce water for you, but it can help in monitoring supply. Keith Hekker’s guide outlines a way to monitor water levels using an ultrasonic distance sensor. While this setup is designed to report to a web-server, the same code could be easily modified to sound an alarm or light up an LED when the water level falls below a certain level. In a similar vein, the folks at Adafruit used a flow valve to determine how much liquid is coming out of a keg — root beer in this case, though it may be a perfect way to keep track of the all important beer you have put aside for when you really will need it the most. Another point to consider after a major event is how to feed ourselves. No matter how much food is put aside as a buffer, the long term plan is always to create sustainable ways to grow your own produce. The Raspberry Pi is a great tool for automation, and Chris Hannam used it to great effect to create a monitoring system to counter his bad luck growing chillies. This level of automation goes a long way to ensuring that anything you are growing will get what it needs, and with a small amount of modification could be designed to notify you of thirsty plants, before you lose your future lunch! In a different but equally cool approach, Instructables user darkstar1 created a self contained Raspberry Pi controlled aeroponics system which uses a pond fogger to keep plants hydrated. Having something like this ready along with some plant nutrient is a great way to ensure you can grow things almost anywhere. Aeroponic setups require less water than many other setups, and this DIY version is a perfect small and inexpensive project. We already know Are LED Light Bulbs Worth Buying for Your Home? Are LED Light Bulbs Worth Buying for Your Home? The light-emitting diode bulb (LED) has only just started to become popular within the last decade. Here's what you need to know before deciding if LED bulbs are right for you. Read More that LED bulbs give great illumination at a much lower energy cost, but what other options are there if the power goes out? Outside of the obvious things like wind up torches and candles, what are the more DIY options? Using a solar setup with 60 Ah battery, similar to the one mentioned earlier, you can power a 5m 12V LED strip rated at two amps for around 30 hours. Of course, there is not going to be much need for light to be on during daylight hours — and this is something you can automate with your Pi. The Raspberry Pi Foundation has a great tutorial on light dependent resistors (LDRs), and the simple circuit they describe will give a value based on the amount of light the LDR is receiving. While the tutorial only covers how to get a value reading from the LDR, you could easily take it a little further and use this value to trigger your lighting when it gets dark. The trigger would be a simple relay circuit attached to the same Raspberry Pi. To learn how to set up the relay side of this circuit, check out our guide Getting Started With GPIO On a Raspberry Pi Getting Started With GPIO On a Raspberry Pi If you though the Arduino was cool, just wait till you get your hands on a Raspberry Pi - these things are amazing. As well as being a fully functional computer, they also have a... Read More . Whatever the future holds, home security is paramount. Whether the world outside is falling apart or not, we all like to feel safe in our homes. Millions are spent each year on home security systems Reolink DIY Security and CCTV System ADK8-20B4 Review Reolink DIY Security and CCTV System ADK8-20B4 Review Reolink offer a range of professional-grade DIY CCTV security systems, and its newest product – the ADK8-20B4 – offers incredibly good value for money. Read More , despite concerns about the weaknesses modern security systems Home Security Systems May Not Be As Secure As You Think Home Security Systems May Not Be As Secure As You Think Here we take a look at some of the most notable smart home security hacks – exploring what happened and why it happened. Read More can fall foul of. There are many options for DIY home security systems Looking For A DIY Home Security System Solution? Try One Of These Looking For A DIY Home Security System Solution? Try One Of These In the age of digital technology and always connected hardware, setting up a home security system should transcend the art of putting an alarm-shaped box on the wall. Read More , but for a simple low powered solution that is hard to exploit, a reed switch is perfect. Reed switches are magnetically activated switches, that change their state as soon as their magnet moves away. They are cheap, very low powered, and can be installed on any door, window, or even cat-flap in case you are worried about particularly small intruders. While our article on a door-activated switch Play Your Own Theme Tune When You Enter the Room With Raspberry Pi Play Your Own Theme Tune When You Enter the Room With Raspberry Pi Have you ever wanted to arrive home to a personal welcome? In this simple Raspberry Pi project we'll use a reed switch to trigger a tune when a door is opened. Read More was made for fun, the exact same principle can be used to create a reliable low powered alarm system for entry points in your home. Even if you have secured all of your doors and windows, there may be places you simply don’t want other people to be at certain times. This is where motion sensors can come in. Once again, there are many professional units on the market, but if you need something low powered and cheap you can build yourself, then the circuit from this project Scare Trick-or-Treaters With a DIY Motion-Activated Soundbox Scare Trick-or-Treaters With a DIY Motion-Activated Soundbox It's that time of year again when it's considered socially acceptable to terrify young children and give them candy. Oh joy. Read More is perfect. This article is a bit of good natured halloween pranking, but the principles in it are simple and solid ways to ensure you know if anyone, or anything, is sneaking up on you. Whether you are truly setting up for a post-world scenario, or are just trying to make small self contained projects for a more off-grid lifestyle, you need the little things in life to keep you going. For some that might be relaxing and watching one of your favorite shows Install Kodi to Turn Your Raspberry Pi Into a Home Media Center Install Kodi to Turn Your Raspberry Pi Into a Home Media Center If you have a Raspberry Pi, you can turn it into a cheap but effective home media center just by installing Kodi. Read More , or maybe you prefer to kick back with a little retro gaming Retro Gaming on the Raspberry Pi: Everything You Need to Know Retro Gaming on the Raspberry Pi: Everything You Need to Know The Raspberry Pi has plenty of uses, but perhaps the most fun is playing classic video games. Here's everything you need to know about retro gaming on your Raspberry Pi. Read More ? Some of these ideas may seem a little far fetched if things really do go wrong, but DIY technology you understand and can repair should be central to your preparations. These examples only cover a few bases and scenarios, but your imagination really is the limit. Taking hobby projects and ideas and turning them into useful life enhancing devices is a wonderful feeling — whether it is done in a sense of preparation or not. As with many things in life, if you understand ways to automate small things you will have more time to devote to larger more pressing matters. Whether those consist of fending off raiders in a post world Mad Max The Mad Max: Fury Road Movie Review for Geeks... One Long Crazy Car Chase The Mad Max: Fury Road Movie Review for Geeks... One Long Crazy Car Chase 30 years after Mad Max Beyond Thunderdome, George Miller revisits post-apocalyptic Australia with a new Mad Max movie. Is Mad Max: Fury Road worth watching? Read our spoiler-free review to find out. Read More situation, or simply using self contained solutions in your daily life to cut down on your carbon footprint, it is well worth looking into these projects and expanding your practical understanding of the technologies involved. It’s fun to learn, and it’s practical. Be safe out there folks. Have you made any plans for a post-apocalyptic world? Are you a practical post-world inventor or do you specialize in Zombie Ballistas? 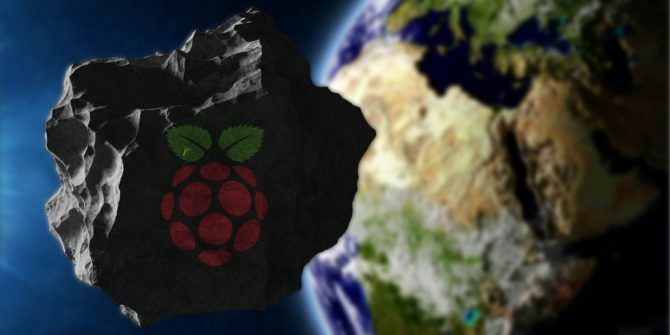 Let us know about your Raspberry Pi apocalypse plans and inventions in the comments section below! Explore more about: Raspberry Pi, Survival Technology, Zombies.